Five Artists. Five Styles. All Created by One Author. At first glance Death of the Artist appears to be a collection of comics by a group of artists leaving their youth behind. But reality and fiction blurs and all is not what it seems. Death of the Artist is a love letter to the wonderful possibilities of visual storytelling and experiments with the very form of the novel. On 13 August 2013 graphic novelist Karrie Fransman invited four old friends from university to an isolated cottage on the misty moors of the Peak District to join her for a week of hedonism and creativity. Like Shelley and Byron before them, they would use the retreat to tell stories. Except these would be comics, collected together in this very book. The theme? Death of the Artist. None of the five friends realised how appropriate that theme would become. Published By Jonathan Cape, 2015. 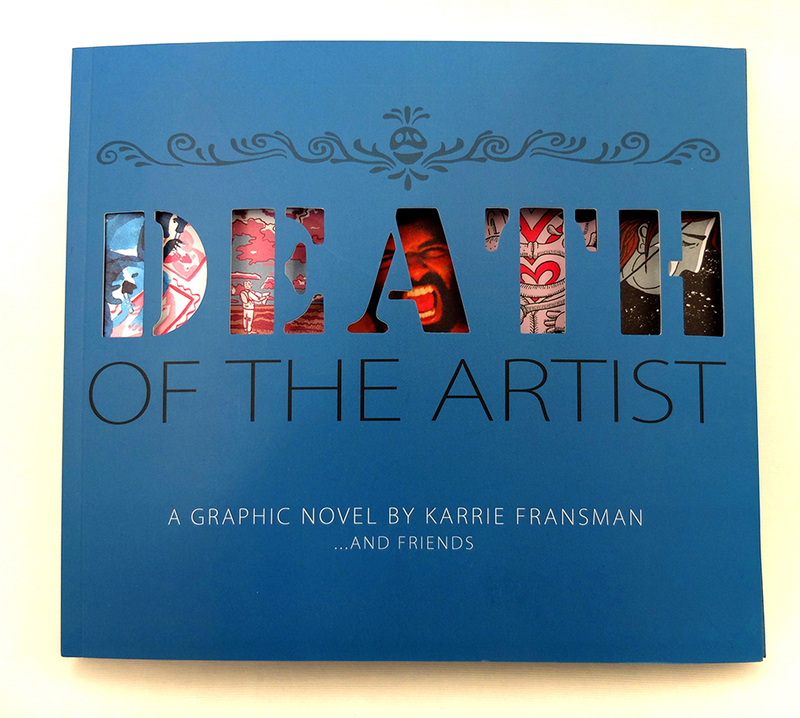 Death of the Artist – Promo Video from Jarbrain on Vimeo.